Microsoft completed a successful 105-day trial of the data center capsule, which was placed 30 feet under water, in the Pacific Ocean. Microsoft, the Redmond based tech giant, has just tested a prototype of a fully self-contained data center that has the ability to operate under the surface of the ocean. The aim of this under-water data center is to cut down on the air-conditioning bill for data centers of the future. Cold storage is crucial to data centers that house thousands of servers which cannot afford to go offline or crash due to heating issues. Housing these data centers under water could help in keeping their temperature in check. 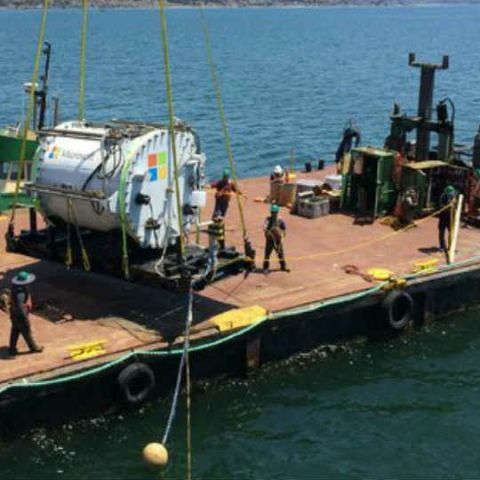 Microsoft just concluded the 105-day trial of this data center capsule, which was placed 30 feet under-water in the Pacific Ocean, near San Luis Obispo. This data-center was controlled by Microsoft's Redmond offices and the trial was a successful one. The data center capsule housed 100 sensors to measure pressure, humidity, motion and other parameters, during the testing period. According to The New York Times, this project by Microsoft is code-named 'Project Natick' and could use huge steel tubes, linked by fiber optics, placed on the ocean floor. The self-contained data centers are also expected to generate electricity through turbines that capture the ocean current. Microsoft researchers believe that these under-water data centers will make web services run faster. They also believe that by producing these self-contained capsules, the company could deploy new data centers in just 90 days as compared to the current time period of 2 years. Plans to get an \'Action Camera\'. Please help! Where are the Xiaomi mi3 service centers in India ? How the Microsoft Kinect SDK Works?